Does democracy have the same meaning in all places and at all times? 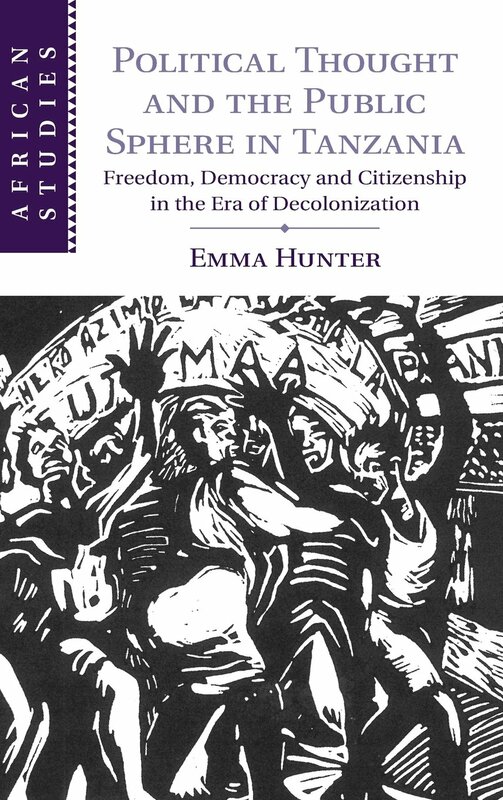 Emma Hunter explores this question in her book: Political Thought and the Public Sphere in Africa: Freedom, Democracy and Citizenship in the Era of Decolonization (Cambridge University Press, 2018) arguing that democracy is about global ideas that are given ‘local’ meanings in ‘local’ contexts. When we think about democracy in Africa, what is it we are thinking about? We sometimes proceed as if democracy has the same meaning in all places and at all times, and corresponds to an agreed set of institutions and practices. But as the political theorist John Dunn reminds us in his 2014 book Breaking Democracy’s Spell, democracy is not only a set of institutions, it is also a word and an idea, and these words and ideas are always embedded in a particular historical context (Dunn, 2014: 8). The story of when, why and how democracy has come to exercise a powerful hold, and the meanings which have been attached to it, can therefore only be told through a close analysis of words, arguments and ideas in context. This is an issue to which I sought to contribute in my 2015 book, Political Thought and the Public Sphere in Africa: Freedom, Democracy and Citizenship in the Era of Decolonization. One of the themes I explore in this book is when and how the word ‘democracy’ came to be politically powerful in 1950s Tanzania. While in the 1940s and early 1950s, the word appeared relatively rarely in either the Anglophone or the Swahiliphone public sphere, increasingly over the course of the 1950s it gained traction and the power to deauthorise existing political formations. Yet the word’s growing power masked ongoing argument over what it meant. What did it mean to conceive of the authority of government as coming from the people, and what practical systems could be instituted to make this possible? What kinds of intermediaries might serve to represent the people to government, and who had the right to speak for which people? There were no straightforward answers to these questions, but in tracing the ways in which they were argued over in public and the arguments mobilised on both sides, we can better understand how new political systems were ultimately authorised. In my book, I explore some of the ways in which, in the 1950s and 1960s, individuals and groups argued over what kinds of political formation constituted ‘democracy’. Such debates can be hard for us to access, but sometimes they leave traces in newspapers or in the archival record. Let me offer one example of such a debate which I explore in the book. In 1958 a Constitutional Committee was set up in Kilimanjaro in Northeastern Tanzania. The ostensible reason for establishing the Committee was to review the workload of the area’s Paramount Chief. The Paramount Chiefship was itself a relatively new office which had been created earlier in the decade and its occupant, Thomas Marealle, chosen by election. Yet some members of the Constitutional Committee, including a number associated with Tanzania’s increasingly powerful nationalist party, TANU, were critical of attempts to make the office one which Marealle would hold for life and which could be inherited by his son. They saw the Committee as an opportunity to create ‘Utawala wa Democracy’ or democratic governance in the District. But what constituted democratic governance? On 1 June 1958, an advert was placed in the local newspaper, Komkya, seeking for suggestions for constitutional change. The advert evidently struck a chord, for it drew a large number of responses, preserved in the Tanzania National Archives in Dar es Salaam. These responses provide evidence of thoughtful attempts by those interested in local politics in the 1950s to consider how best to achieve accountable governance. Re-writing constitutions was not something which could be done according to a template, but required careful reflection. What we see here, in the responses to the advert in Komkya, are respondents thinking creatively about political authority and how it should operate. Debate turned in particular on whether the Paramount Chief had been, or ought to have been, elected for life, or whether he should face regular elections. Related to this was the option of replacing him with a President of Kilimanjaro, who would serve a defined term. This issue lay at the heart of many of the responses. While the Paramount Chief himself used the ambiguity in the constitutional arrangements which had brought him to power to claim that he could rule for life, most of those who responded to the announcement argued that regular elections were essential in order to ensure legitimate authority. Most of the respondents in 1958 made points about systems of government in general, rather than referring specifically to Marealle himself. They argued in general terms that corruption was inevitable should a leader not face regular re-election. Others disagreed and argued that a regularly elected President would signify a humiliating ‘instability, change of mind and unbalanced determination’, and just because regularly elected Presidents were popular in some states did not mean that the institution should be copied blindly. In any case, if the dominant tone was in favour of elections, this did not mean opposition to having a strong local government with an accountable head. What of democracy in these submissions? Where the term ‘democracy’ appeared in these letters, it tended to be associated with a wider set of ‘modern’ political attributes. In other words, rather than being a governmental system, democracy was a way of being ‘modern’. It was also associated with nationalism and support for ending colonial rule. But all the correspondents were dealing in creative ways with the question of how to hold power to account. There was a general sense that a crisis of authority had emerged, that the paramount chief had gained too much power, and that new institutions or new strategies were needed to ensure this did not happen again. My focus in this book is on the past – my story stops at the end of the 1960s. But excavating past debates has lessons for those interested in African politics in the present too. It reminds us that when we talk about democracy we are not simply talking about normative ideas constructed in the West and exported fully formed around the world. Rather, we are talking about global ideas that are given ‘local’ meanings in ‘local’ contexts, meanings that need to be understood if we are to understand the practices and institutions that have been constructed around them. Emma Hunter is a Senior Lecturer of African History at the University of Edinburgh University, UK.